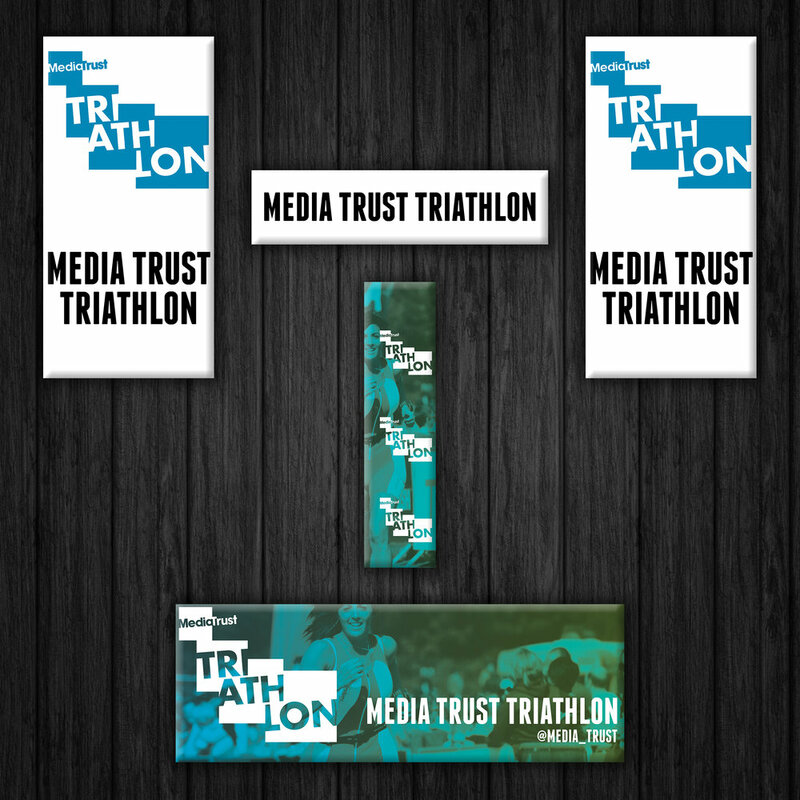 Generating the large scale artwork for banners and barrier boards which would be installed at the Media Trust's inaguaral triathlon fundraiser. This event would involve many corporate sponsors including the likes of Google, Dentsu Aegis Network, ITV and Yahoo. Olympians Pamela Relph MBE and Louise Hazell were present too. Social media content promoting the event needed to be created for the Trust's Twitter and Facebook platforms. Leaflets had to be created too. 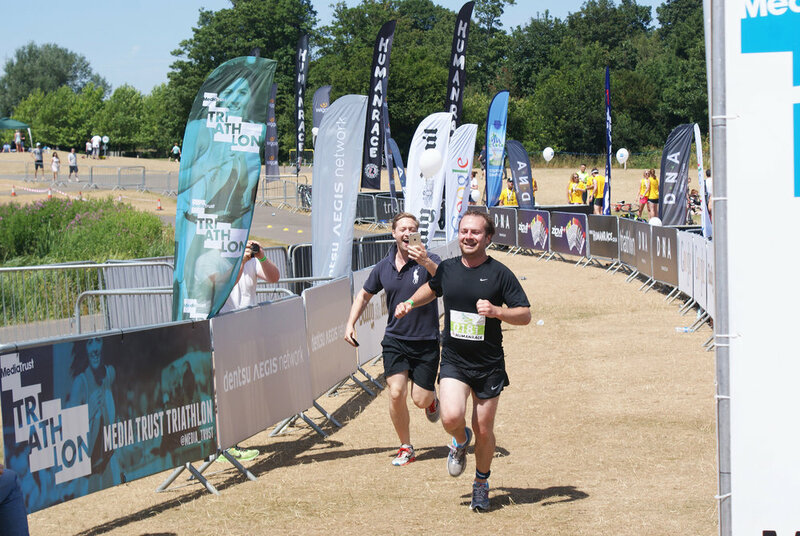 Media Trust logos, leaflet template, photography from previous Media Trust running events; and copy from the in-house Copywriter. Previous colour schemes used and in-house library artwork. Even more artwork has been created which can be found in my pdf portfolio, and also on request. 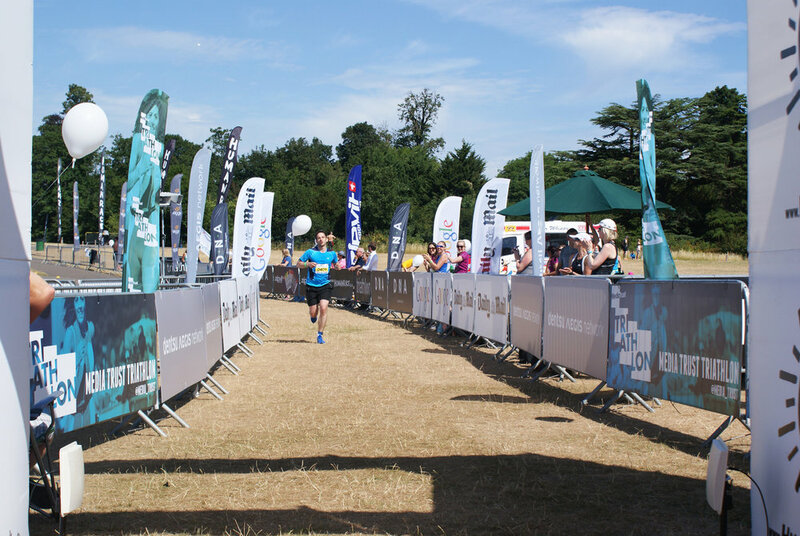 Barrier board and banner artwork featuring was created and printed for the inaugural triathlon event which was a huge success. Over £20k was raised at the event. I too took much of the photography. Leaflets Social media content created too and rolled out widely across social media!